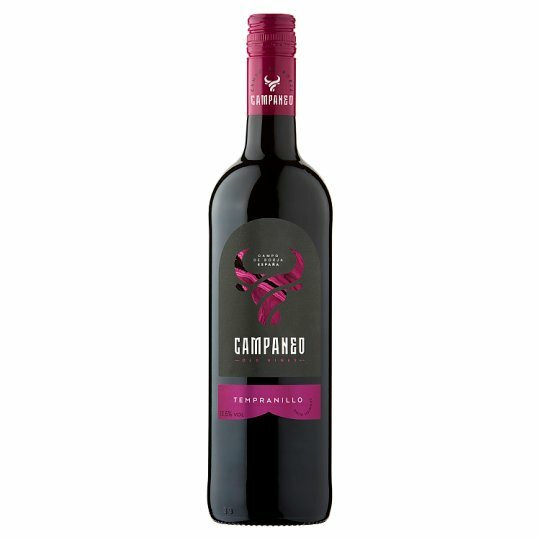 A smooth, well structured red wine with ripe raspberry and cherry flavours complemented by a touch of spice. Grapes are picked at optimum ripeness and harvested the last week in September by machine. Daily pumping occurs twice a day. Fermentation then takes place at 25°C for 7 days, followed by natural Malolactic fermentation. Made by the modern, dynamic winery Bodegas Aragonesas in the Campo de Borja region. This Tempranillo is made from old bush vines of 15 to 50 years of age, which give the wine it's concentrated fruit flavours. Bodegas Aragonesas was founded in 1984 and actually has an average production of 18 million litres which accounts for 55% of the total production of the D.O. Campo de Borja. Their main grape varieties are Garnacha from over 50 years old vines and Tempranillo. Currently, the number of casks is 3500, 60% is American oak and 40% French oak. In the Foothills of "Cordillera Iberica" range, the vines are over 20 years old and are situated in the Campo de Borja region of Spain .The climate is continental, with Atlantic influences during the winter and a Mediterranean influence during summer. The soil type is mainly clay-stoney, offering good drainage and plenty of nutrients to the vines.